A warm tribute paid to the memory of the late Prof. Yoon Kyung Do. 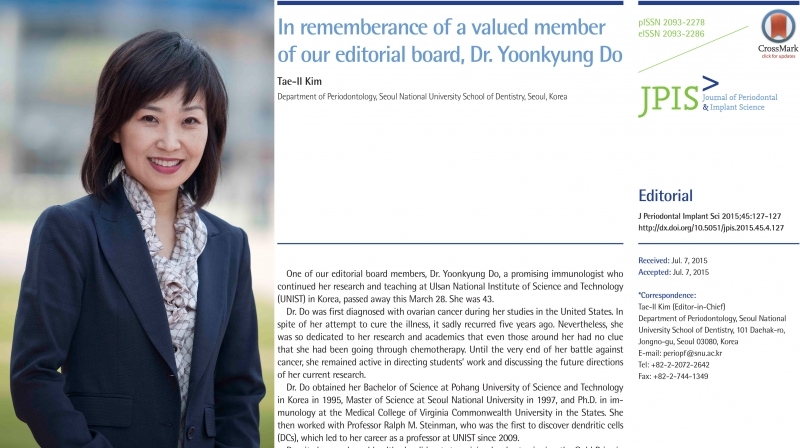 Following the sudden passing of Dr. Yoon Kyung Do in the School of Nano-Bioscience and Chemical Engineering, the DC-based Immune System & Immunotheraphy (DISNI) Lab has received many messages of sorrow and support from across the UNIST community. Within the University, Dr. Yoon Kyung Do was a deeply committed and hard-working member of UNIST who worked tirelessly as mentor and adviser to many graduate students. She was a visionary scientist, beloved and respected colleague, generous mentor, and loyal friend to many of us. 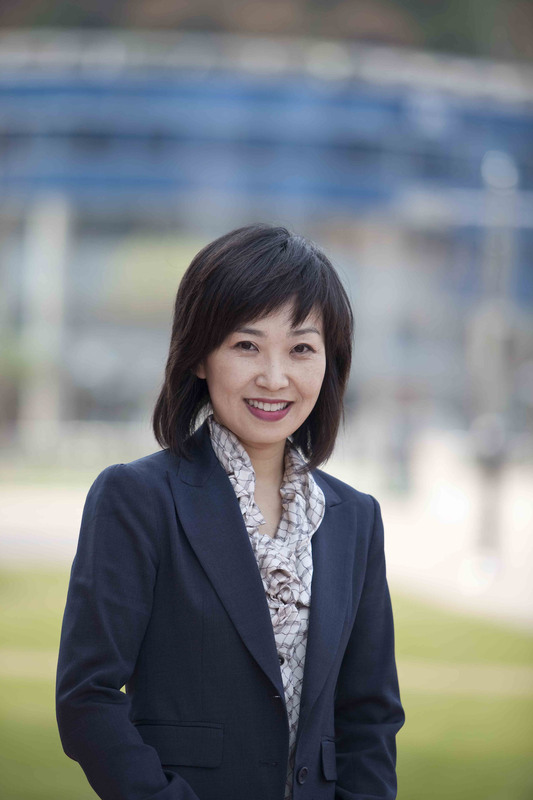 Throughout her outstanding professional career, Dr. Do was recognized for exceptional innovation with numerous honors, including winning the Gold Prize in the Bio Engineering & Life Science field of the 2015 Samsung Human-Tech Thesis Competition and publishing her last paper in a recent issue of Cell Reports. Today, Dr. Tae-Il Kim, Associate Dean for Strategic Affairs (Department of Periodontology, School of Dentistry, Seoul National University) paid a warm tribute to her “remarkable” career. 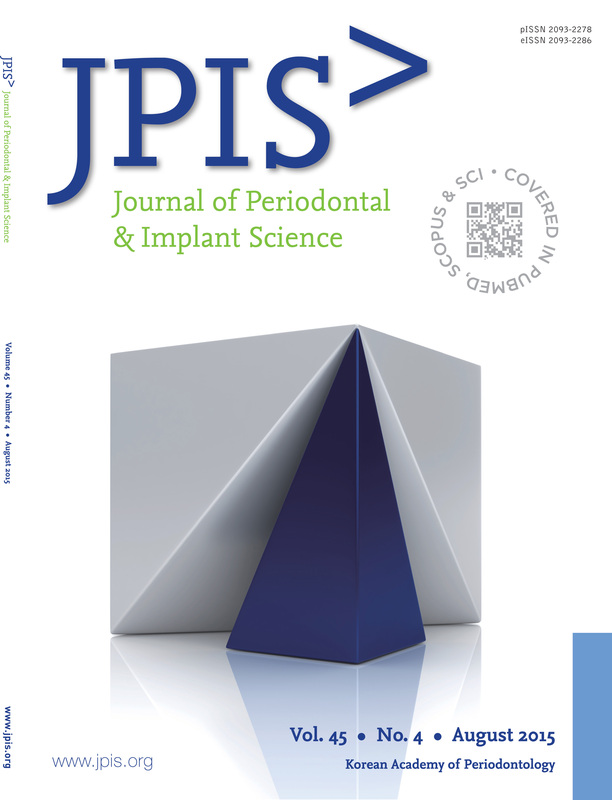 In a tribute to Dr. Do, he has recently written and published a memorial letter in the JPIS (Journal of Periodontal & Implant Science) editorial column (DOI: 10.5051/jpis.2015.45.4.127). 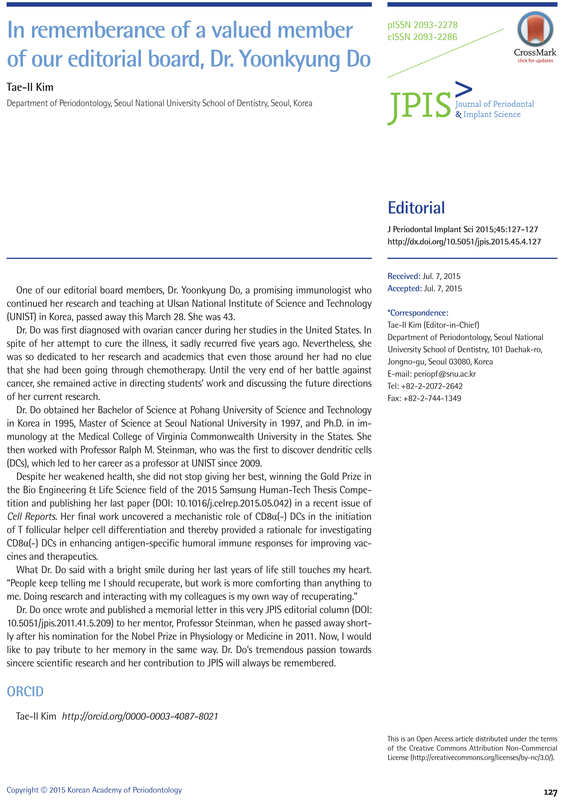 Dr. Do had also once published a memorial letter in the JPIS editorial column in memory of her mentor, Prof. Ralph Steinma when he passed away shortly after his nomination for the Nobel Prize in Physiology or Medicine in 2011. This special tribute to Dr. Do has instantly gained worldwide attention when major foreign press, such as PubMed, Web of Science, and Scopus published articles about it.